purpleSTARS are a team of artists and technologists with and without disabilities who work with Museums to see how we can get them to make their displays appeal to all of our senses. We think this will make Museums more interesting for all types of visitors. We think that being able to touch and feel things in Museums makes a visit more interesting. We think we should be able to even smell and taste things in museums, as well as seeing and hearing them. That is our idea of a really interesting Museum! purpleSTARS will help museums to use technology and art to create displays that use all of our senses in this way. 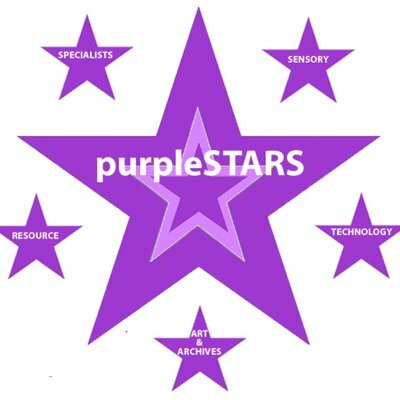 The purpleSTARS, Sensory, Technology & Art, Resource Specialists is being funded for the first year by the Arts and Humanities Research Council AHRC developed from the award-winning AHRC-funded Sensory Objects Project and the need to build a more sustainable model for the work to continue. The original Sensory Objects project in 2012-15 brought together people with learning disabilities and researchers to enrich experience and encourage inclusivity within museums and heritage sites through the development of sensory interactive objects. Working with the inclusive employment agency Jobs Enterprise and Training (JET), part of the Tower Project charity, we are developing opportunities for people with learning disabilities creating a training, sensory experiences and consultancy service that can help museums and heritage sites to realise more accessible and meaningful experiences for their visitors with learning disabilities.